The #MeToo movement gaining momentum, three strong voices who named the perpetrators on the list have shared their stories. 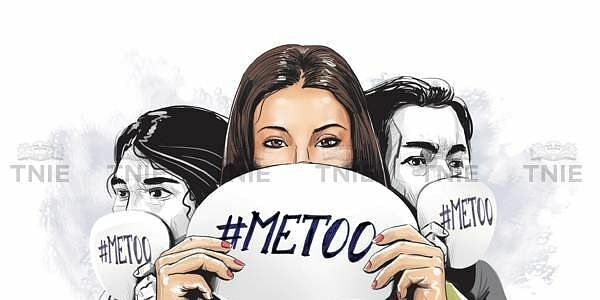 Following the publishing of lawyer Raya Sarkar’s list of sexual harassers in academia on her Facebook page (which is now defunct) and the #MeToo movement gaining momentum, three strong voices who named the perpetrators on the list have shared their stories. Filmmaker, producer, FTII graduate and former faculty member Nishtha Jain, who directed the National Award-winning documentary ‘Gulabi Gang’, shared her story on Facebook after her alleged harasser, Arghya Basu (a former FTII faculty named on the list) rubbished claims against him and demanded proof. The incident left Nishtha shaken and she wonders if he was able to behave normally after that as if nothing had happened and if he had told his wife about it. She resisted from making a scene at the party, keeping in mind his wife and the host of the party. Dr Sylvia Karpagam, a well-known public health doctor based in Karnataka, wrote her story ‘My 20 year search for ‘due process’ till the list arrived’ on raiot.com. As a postgraduate in the department of community medicine at St John’s Medical College, Bengaluru, she faced numerous unpleasant incidents with her Head of the Department. The professor had a reputation for making inappropriate comments, using sexually loaded language and touching female students unwantedly. Everybody had heard stories but chose to ignore them. “He had this habit of creeping up behind women and putting his hands on whichever part of their body was exposed - their neck, shoulders, arms, waist and when the women jumped up, he would laugh excitedly like a naughty boy caught doing mischief. The effect of this lingers till today whenever I sit in a room working on my laptop with my back exposed - an unpleasant sensation of something nasty going to creep up behind me,” she wrote in her post. “As a student, I remember this surgeon, who took about 12 of us students, mostly male, on rounds, stripped a young woman upto her waist, without any form of consent and proceeded to ‘palpate’ her breasts the entire 15 minutes that he was ‘teaching’ us. What is my memory of that? My memory is filled with guilt – that I didn’t intervene, that I didn’t slap him, that I didn’t complain. What are women like us to do with guilt such as that? Where was ‘due process’ then and where is it now? Karpagam even wrote letters, talked on Facebook groups with alumni from St Johns’ all over the world, and no due process was set in motion. Nothing came out of it. Karpagam says that the man recently mentioned at a reunion that he was teaching a life skills course for the girls of Nivas College, Bengaluru and had taken some of their WhatsApp numbers so that they could ‘talk to him privately without feeling shy’. Dr Karpagam hopes that the man’s name on the list will serve as a warning for those girls and that they would block him. What due process could not do for her, the list will, she feels. Raya Sarkar posted the testimony of this anonymous survivor on her Facebook page where she states that she’s sharing her story because her alleged harasser Ben Zachariah had publicly demanded why his his name was mentioned on the list. Editor's Note: The anonymous person whose account was quoted here has said that the testimony was shared on Facebook only among friends and was not meant for public consumption. The account has therefore been removed. The writer had said on the original post: "I reserve my right to not engage at this moment and don’t want to be trolled for this. Kindly do not share this post. Copy and paste if you want. I am on a vacation and don’t want him or anything to do with him to f&$# my peace of mind again."